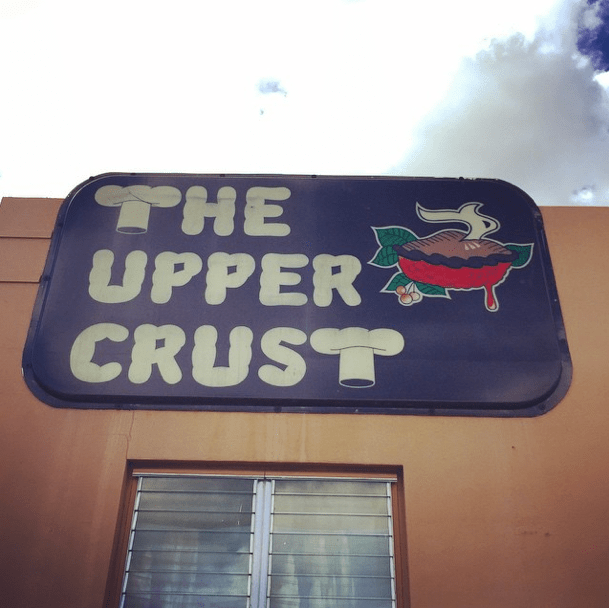 The Upper Crust Pies is a tiny bakery serving up huge pies. Located just off Dixie in Lake Worth, you’d never know what tastiness is going on in this little strip mall unit. I’ve had Upper Crust Pies many times because my mother-in-law randomly serves their Apple Pie at family functions. I am a total dessert and baked good lover, so I am notorious for trying any dessert on a buffet line. And theirs is really good, with the perfect hint of sweetness and cinnamon. 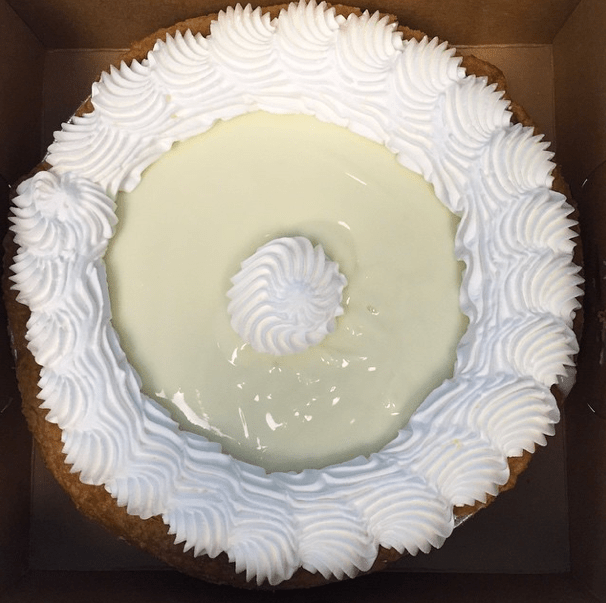 This Easter I decided I wanted to bring a Key Lime Pie to my mom’s house and called on my MIL to see if that shop offered one. * Now I will share with you a tidbit of info I didn’t know – you can purchase Upper Crust Pies at Charlie’s Gourmet Meat Market at Military Trail and PGA Blvd in Palm Beach Gardens. If you order ahead you can request a particular flavor. I however made the trip to Lake Worth, which was totally worth it so no complaints. Upon arrival I was like a kid in a candy store. There were these gorgeous pies in the case, like their Strawberry Pie piled high with huge glistening strawberries and whipped cream. 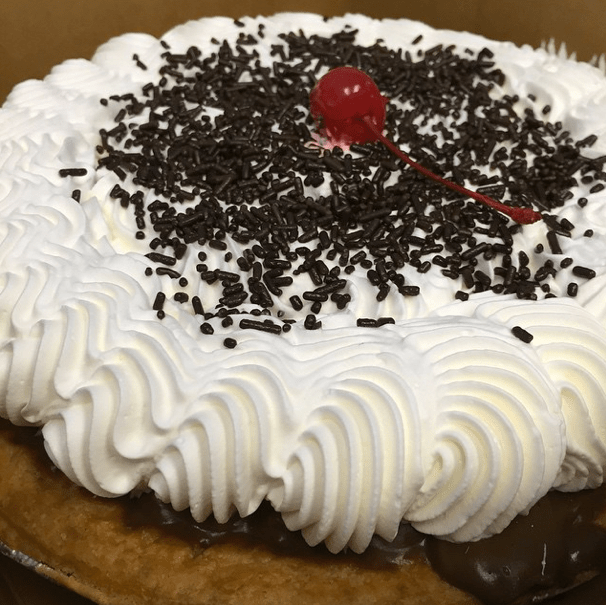 There were stacks of boxes stamped with the flavor of each pie they contained on the counter and in the coolers and the next thing I know my pile also included a Chocolate Cream Pie. I couldn’t help it with the layer of swirling whipped cream, chocolate sprinkles and happy little cherry on top. It was absolutely delicious. The filling was a rich chocolate pudding type and the whipped crew was just to die for. So if you’re in the market for a pie and want to make a statement, I definitely recommend giving Upper Crust a call. They have a great variety available with meringue pies, fruit pies and cream pies and the ladies are great.